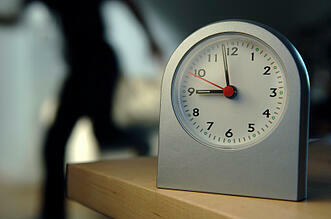 Time theft in the workplace cannot only affect productivity, but your company’s profitability as well. When your employees waste time while they’re on the clock and being paid, they’re committing time theft. 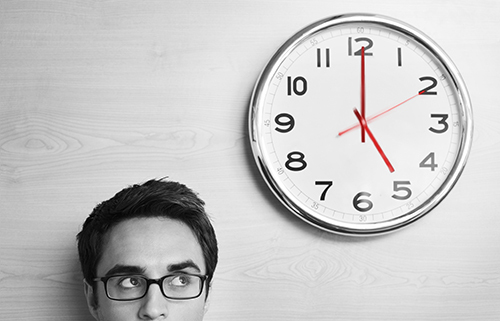 Your workers may be stealing time deliberately or they may not be aware that they’re doing so. Either way, it can affect your bottom line. To find out more about the problem, and to try to eliminate it, consider using these tips. Your employees can steal time in a variety of ways. Time card theft occurs if an employee has a co-worker punch him in earlier than he showed up to work or punch him out later than he left, or it can occur if a worker lies about the hours he’s worked on a time sheet. Your breaks are likely timed—15 minutes in the morning and the afternoon and half an hour or an hour for lunch. When employees are over-extending their breaks or they are taking more breaks than allowed per shift, they’re also stealing time. Taking excessive personal time during the day, like making personal phone calls, checking Facebook, or chatting, is also a form of time theft in the workplace. One way to avoid time card theft is to use biometric time and attendance systems, such as fingerprint scanners, that can ensure that an employee is the only one who can clock in and out for himself, so he can’t have a buddy do it. If biometric devices are a little out of your comfort zone, then consider using software that can more accurately monitor your workers’ check-in and check-out times as well as their breaks. With this type of software, you can integrate your punch clock hardware with payroll and attendance processing so monitoring can be done automatically and seamlessly. Sometimes, all it takes is a little communication to prevent time theft. When you’re clear and honest about your expectation and your company’s policies as to what is allowed in terms of personal time, phone calls, breaks, and internet usage, your employees will better understand where the boundaries lie. You reduce the risk of ambiguity so every worker knows what is prohibited and what is accepted on company time. Though monitoring everything your employees do isn’t always the best route for trust and morale, sometimes it’s necessary. If you’re seeing a lot of wasted time on personal emails, social media activity and non-work browsing, you can implement internet monitoring software to track what your employees are doing while they’re on the clock. You can also block certain sites that aren’t permitted. When your employees are more accountable for their time and work, you can prevent a lot of time theft from occurring. To do so, you can create incentive programs and help your employees create measurable goals and monitor their progress. If you’re always taking personal calls at work and taking extended breaks, your staff will follow suit—assuming that it must be OK if the boss is doing it. So, if you want to prevent time theft, you must lead by example to show your employees what’s acceptable behaviour at work and what isn’t. Preventing time theft in the office is no easy task—especially if you’ve let it run rampant for a long time. To get your staff back on track to productivity, consider implementing biometric devices, time and attendance software and internet monitoring software, having open lines of communication, promoting accountability, and leading my example.